Everything the other reviews stated were spot on! The town was picture perfect, quiet, and we frequented the corner coffee shop each day of our stay, sometimes more than once. No need for a car when picking a dinner spot either. I love to run, so to have the beach trail so close was ideal. Finally, the house itself had all the charm of feeling at home with the quality of a 5 star hotel. When I called with a question, I was met with friendliness and instant help. I would stay here again for sure :). Location! Location! Location! Casita de Suenos ("Little House of Dreams") is literally steps to Pacific Grove’s charming downtown. You can walk to the coffee shop around the corner faster than you can brew your own! From this location, explore great restaurants and cafes, boutiques, galleries, antique and consignment shops, a cinema, a bookstore—and too many coffeehouses to count. Stroll a few blocks further to the ocean, Lover's Point Beach, and miles of the scenic walking path. Freshly decorated, Casita de Suenos feels like “home” the moment you enter. The living room has oak floors, a comfortable sofa, an antique desk, and French doors that open to a small side patio. The kitchen sparkles with forest green granite and stainless appliances (including a Viking range), and a fireplace in the adjacent dining room just adds to the warm ambiance throughout. The master bedroom suite (with a King bed) is three steps up from the main living area; a private bath has both a jetted tub and a walk-in shower. Upstairs, two additional guest rooms with vaulted ceilings and dormers (one with a Queen, the other with two Twins) share a second bath with a soaking tub/shower combination. Walk to town — It's around the corner! Charming downtown is around the corner and the weekly Farmer's Market is just a few blocks away. The home was absolutely fantastic! From the chef’s kitchen, to the dining room fireplace, to the jacuzzi tub in the master bath... the awesome location. My family and I had the best time and would return in a heartbeat to rent this home again. We just did not want to leave. I highly recommend! Loved the house, except the backyard had nothing to offer. The bedrooms were great. Never used the fireplace, but enjoyed the living room. Ants attacked the fresh baked cookies we brought and several other items. You might post an "Ant warning" in the kitchen as I notice several ant motels around the bathroom after the attack, so I assume you have had them in the house before. Other than that. Had a great stay. Parking was great. Walk to town was nice. We're so sorry to hear the ants ate your baked goods! We think the invasion was related to our recent heavy rains (we called pest control to come back and re-treat the house). We had a great stay at Casita de Suenos! The place was very nice with all the comforts of home. We really liked it’s location in the heart of old town Pacific Grove within walking distance of many excellent restaurants. We will definitely will be back! We’re a family of 5, with kids from 16 to 9. The house was perfect for us, comfortable, well-appointed and perfectly located. It exceeded our already high expectations. We will definitely be back. Fantastic property! Beautifully decorated. Well appointed kitchen with modern appliances and excellent lighting and work surfaces. Very cozy and comfortable. 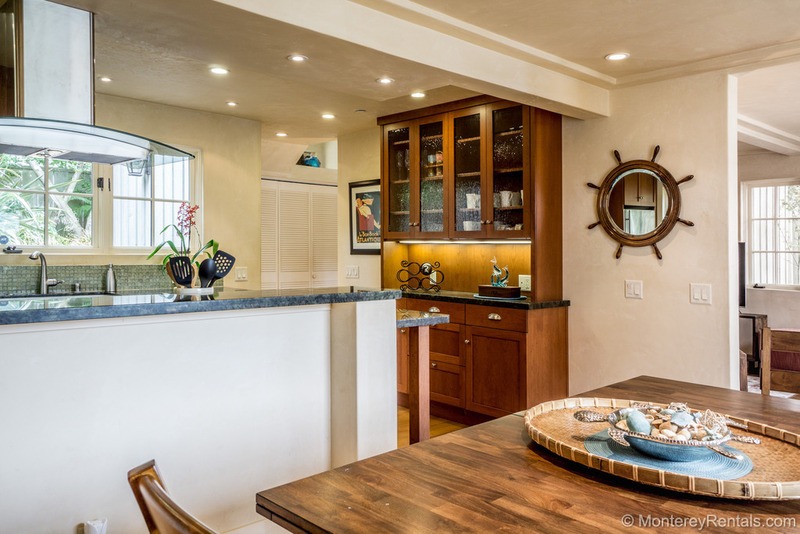 Premium location to Pacific Grove and Monterey. Walking distance to many quaint and charming shops, coffeehouse, restaurants. Just a 9 minute stroll to Lover’s Point with activities for all ages. Highly recommend the Beach House restaurant at Lovers Point for dinner. For breakfast superb menu at the Red House Cafe just a block away from the property. A must stay property. We will definitely be back! Thank you owners for your attention to detail and making Casita de Suenos available to enjoy❤️! This house was beautiful and relaxing. The coffeeshop and bookstore at the corner are great. Passionfish one block away is a 21 year old restaurant that is fabulous - can you say cheesecake ice cream?? Also, the shops a few blocks away are different and wonderful - especially Quill - the best stationery store ever. And a few blocks away is a great walking path at the beach. This house is perfect. It was immaculate and beautifully decorated. The beds/linens were very comfortable. It is in a quiet neighborhood with a short walk to restaurants, shops and the beach. We were centrally located for drives to Big Sur or Monterrey aquarium. There is a lovely courtyard in the back where we sat and enjoyed our morning coffee. Check out was a breeze with fewer instructions than many rentals. I hope we get to stay here again someday! Very Spacious But Cozy Home! Great location for walking to shops and restaurants in Pacific Grove. House is spacious yet has very cozy feeling. Always found parking in front. We happened to be there during a rare heat wave so house was a little warm- a box fan would be helpful for those rare moments. Also, would have loved to skip the whole key pick up/drop off- not a major inconvenience but I am so used to lock boxes located at houses which makes it super easy. We're happy you enjoyed your stay at Casita de Suenos! We have delivered pedestal fans to all our properties in case of another heat wave, and we are currently evaluating a new keyless system for our homes that looks quite promising. Wonderful home away from home... possibly better! This house was a last minute booking after being let down by another property. It did not disappoint and in fact exceeded expectations. It was so homey and clean and had the best of equipment. Beds were so very comfortable. We were all very sad to leave. There is the most adorable coffee shop on the corner. Another great reason to return! This home met all of our expectations and then some. I would describe this home as clean, inviting, relaxing, organized, and well thought out. Not a thing was left out of this rental home. One of the best we have rented and would highly recommend it to anyone looking for a great home in a great location. 10 min walk to Lovers Point Beach and right off PacificGrove Main Street with coffee shop on the corner. Highly organized kitchen with all the tools to cook a great meal. Beds and linens were top of the line and very clean. Loved the home.